Modern intelligent power distribution units are incredibly versatile. In addition to being able to monitor power utilization in real time, PDUs can be fitted with environmental sensors that track rack temperature and humidity. Additionally, switched PDUs let operators remotely power cycle equipment. From an easy-to-use web interface, they can actually take an entire rack offline if needed. But with great power comes great responsibility. For example, in the improbable (though not impossible) event that a disgruntled or rogue employee, or even a hacker, accesses the web interface that controls switched PDUs, they could theoretically induce unplanned downtime. Though unlikely, government agencies, financial institutions, health care facilities and other highly security-conscious industries must be mindful of all possible security threats. Therefore, conservative organizations may opt for basic PDUs that have local, graphically displayed metrics as opposed to remote or switched capabilities. This keeps critical power infrastructure air-gapped from the rest of the network so that only specific, on-site personnel can review power metrics and control those PDUs. "Manually documenting power metrics by scrolling through a local GUI can quickly become tedious." That said, manually documenting power metrics by scrolling through a local GUI can quickly become tedious. Not to mention it introduces the risk of inaccurate recordings. This is problematic since it can yield imprecise client billing in colocation data centers. Worse yet, errors could cause flawed power load distribution leading to under- or over-utilized supply feeds. In fact, even government agencies are increasing their focus on maximizing facility efficiency. Case in point, under the Data Center Optimization Initiative (DCOI), government data centers will be required to maintain a PUE of 1.5 or less, starting September 30, 2018. Accurate power metrics will need to be reported to the Office of Management and Budget for verification. So, while utilizing basic PDUs or PDUs that only support local monitoring may supply peace of mind from a security standpoint, it is not without its drawbacks. This is not to suggest that data center managers should stop air-gapping power infrastructure in ultra-secure areas – especially considering the volatility of today's cyberthreat landscape. However, to more easily facilitate accurate reporting, data center managers will need to start thinking outside of the box. Those 2D barcodes are transmitted as highly directional beams of light and read by a smartphone camera. The PDU's companion mobile application will access that visual information and interpret the code into the quantifiable data listed above. In other words, point, click, shoot, know. The entire process takes a little less than 3 seconds. Because VLC is an entirely visual form of communication, both the mobile endpoint and the PDU can remain offline as the information is gathered. However, those data summaries may need to be exported. This can be achieved directly through the mobile application, assuming the device is connecting to a secure network or through a virtual private server. 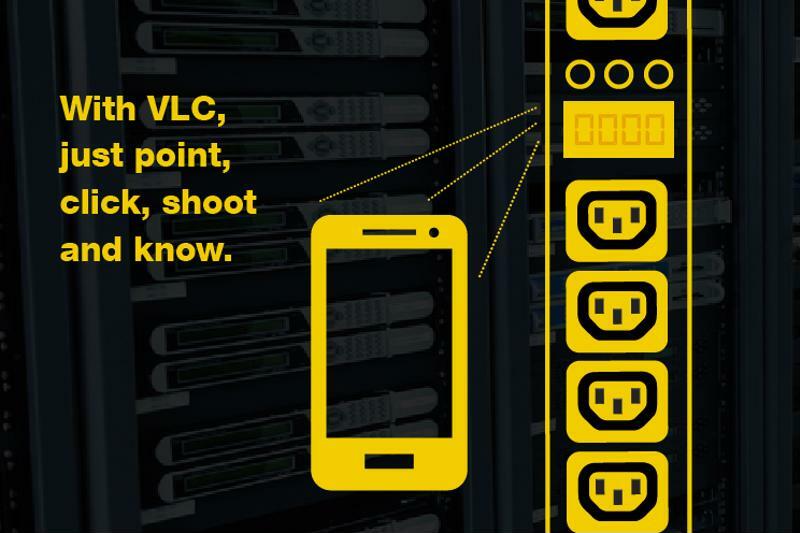 While this capability does require the smartphone to be within optical range of the PDU, it's a significant improvement for data center operators who would otherwise need to perform manual PDU inventory management and power metric tracking. To see this feature in action, watch the video below. You can also learn more about secure smartphone-enabled PDU visualizations by clicking here.